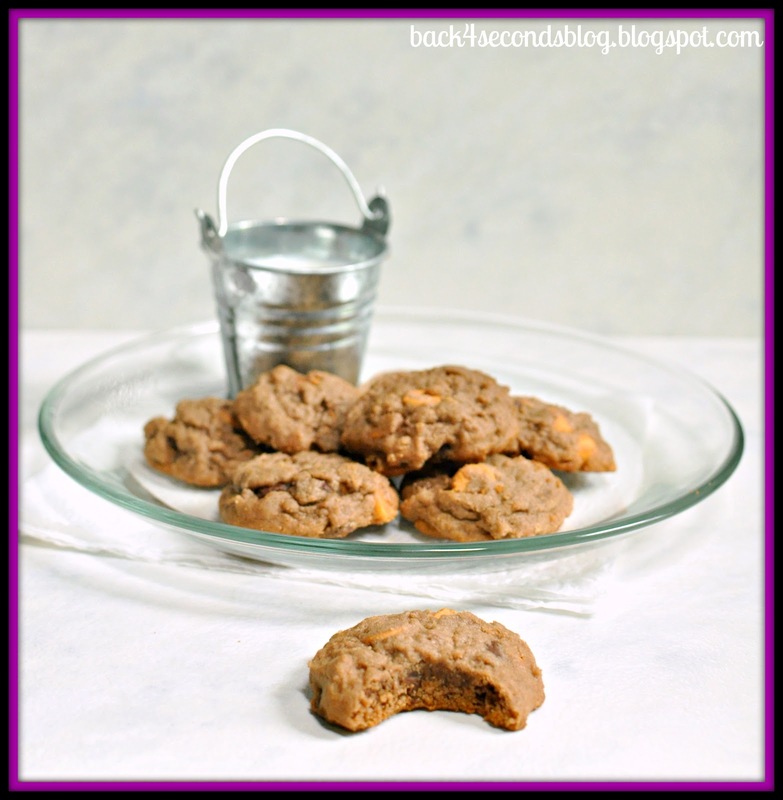 Triple Threat Cookies–A Guest Post from Back For Seconds! Hey guys! I’m stoked to announce I have a super-cool blogger posting for me today. Stephanie’s the mastermind behind the blog Back For Seconds and she’s totally awesome! Between making Bubblegum Cookie Truffles (aka the way to my heart and soul) and these Cupcake Muddy Buddies, she’s also a wife, mother, and certified rad baker, and she’s here today. I’m so excited! Take it away, girl! Hello, fellow fans of The Domestic Rebel! I am so stoked that Hayley asked me to be here today! My name is Stephanie and I blog over at Back For Seconds. 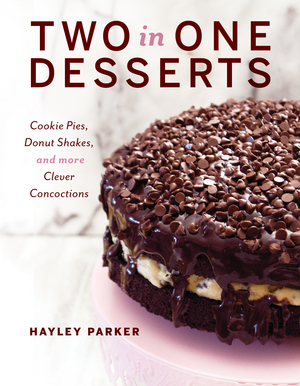 Like our friend, Hayley, I am a little obsessed with dessert. Anything chocolate is my favorite and if it’s salty and sweet? Be still me heart! I do make other food too (occasionally), and I like to experiment with making skinny treats that taste rich and sinful. I hope you’ll come say hi sometime – any friend of Hayley’s is a friend of mine! These cookies are definitely a top contender. They are soft, chewy, and packed with three of the best flavors of all time: chocolate, peanut butter, and butterscotch. 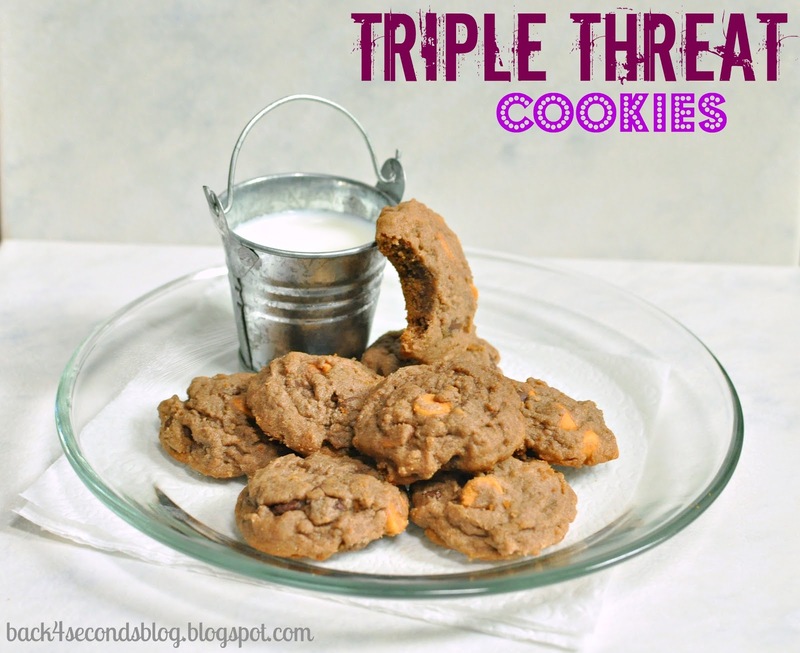 Triple threat cookies, indeed. I like to make them mini sized – that way after I down about 15 of them I don’t feel as bad. PS: These make killer ice cream sandwiches too!! In a large bowl cream the butter, peanut butter, and sugars until light and fluffy. Add the pudding mix, vanilla, and eggs and beat again. While mixing on low speed slowly add in the flour, baking soda, and salt until well combined. Stir in chips. 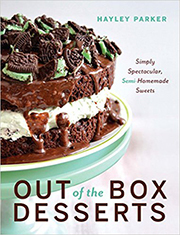 Drop by spoonfuls onto ungreased baking sheets about 2″ apart and bake for 6-8 minutes. Cool on wire racks and store in airtight container. Thank you so much for letting me share with you guys today! Hayley is such a rock star in the kitchen and she blows me away with her endless sugary creativity, so I truly feel honored to get to hang out here today! Thanks, Hayley! love the high ratio of butter to everything else in these 🙂 and the 2:1 brown to white sugar – bet they are soooo soft and buttery! these sound amazing + i love love love the idea of making them into ice cream sandwiches! Oh, these would make amazing ice cream sandwiches! Thanks so much for asking me to post here, Hayley! It was so much fun for me. You know I love ya!! Eek! 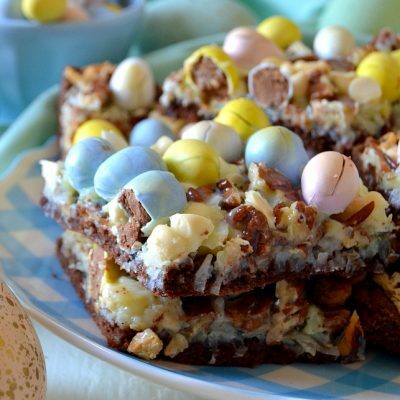 These look fabulous–and I LOVE the idea of making them into ice cream sandwiches. Brilliant! Goodness, these are amazing! There’s just so much amazingness going on here! Will definitely have to make this ASAP. I love butterscotch chips. I’ve never made cookies with chocolate pudding mix…can’t wait to give them a try! I have NEVER made cookies with pudding mix before but I’ve been dying to try!! 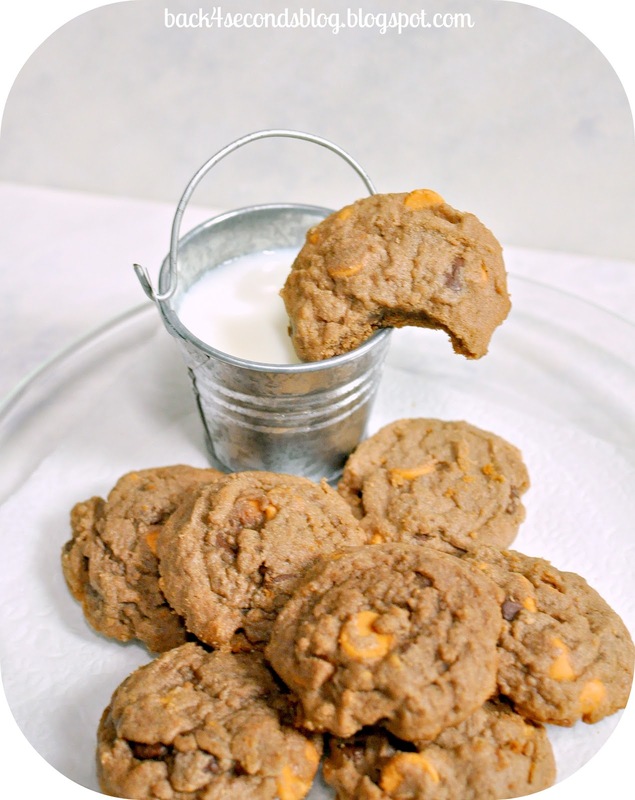 These look so incredibly soft and anything… i mean anything… with butterscotch chips is a winner in my book! Great recipe Stephanie! I can never have enough cookie recipes. Pudding cookies with peanut butter and butterscotch? I’M IN. 🙂 Love these!